Prior to founding Newpage, David Green was a partner of PricewaterhouseCoopers in Macau, and later Director of the firm’s gaming practice. He has advised on casino regulation in a number of geographies, including New Zealand, Singapore, Macau and Taiwan. He has also advised on regulation of internet gaming, sports wagering and lotteries. 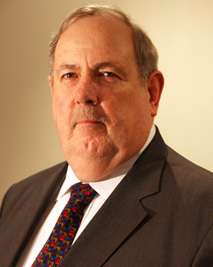 David served as Presiding Member of the Independent Gambling Authority in South Australia prior to relocating to Macau in 2001. David has lectured in, and practised revenue and commercial law. He spent almost 7 years as a tax manager and partner with Deloitte Touche Tohmatsu in Australia, working predominantly with large corporate taxpayers in industries as diverse as mining, vehicle manufacturing, retailing and education. He co-authored an edition of Deloitte’s client guide to doing business in Australia. David has post-graduate qualifications in Law (LL.M, University of Melbourne, Australia) and Business Administration (MBA avec mention, IMD, Lausanne, Switzerland). He has been admitted to the Bar in Australia since 1977. He is also a qualified accountant, and a Fellow of the Australian Institute of Company Directors. He has worked in the public sector, having served as Commissioner for Consumer and Corporate Affairs in Adelaide, South Australia.